Trumpeters With Real Gigs recently had a live interview with Adam Rapa. If you haven’t checked it out, the link is below. There was an amazing point that I took away from this live interview, setting an environment where learning comes easily. Adam discusses the importance of being in the right, supportive environment that supports a positive growth. If you don’t want to listen to the entire interview, skip to the 45 minute mark and listen to this important point. To me, this is interesting especially as someone that has entered the trumpet career world relatively late in life. In the past 2 and a bit years of focusing on trumpet playing and elevating my trumpet skills I have found the single most important element in my efforts of becoming a better player is being surrounded with positive people that have, as Adam says, a mindset of sharing information. The Trumpet 4some Hang: There are a few trumpet players in Toronto that have been getting together to play arrangements of jazz standards written for 4 trumpets. Most of the writing was done by a local trumpet player who spent many years as a professional. He would write these arrangements and we would get 4 trumpet players together to play through them. Facebook Groups: There has been a recent increase in the number of Facebook groups that trumpet players can be part of. Trumpeters With Real Gigs is a great example of a fantastic group. 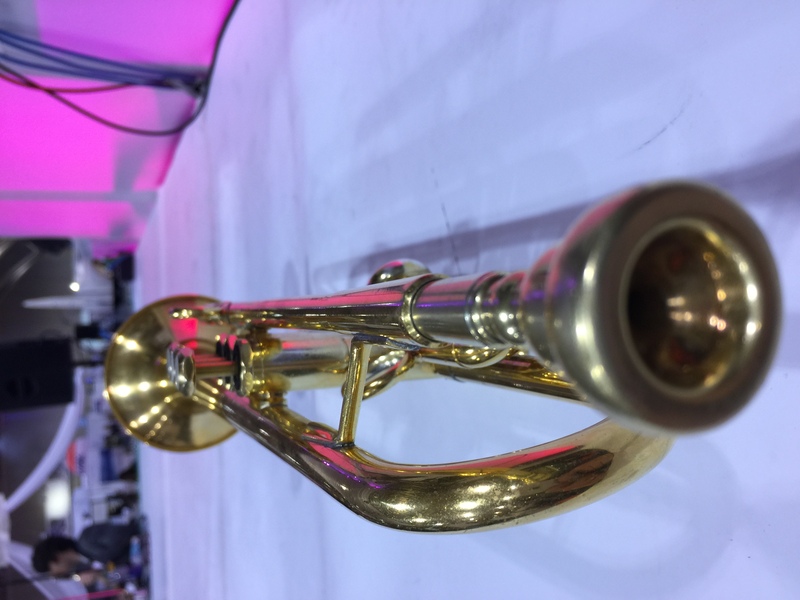 While I have only been here as a silent observer, the team of this group is super active in providing a tremendous amount of information on numerous topics for trumpet players in general, but specifically I am impressed with their information for freelance trumpet players such as myself. Another trumpet group I have grown to enjoy is Trumpet Hang. Trumpeter Jordan Hoffman started this closed group with an amazing attention to making sure the environment is positive and again, just like Adam describes. In this group I have been an active member and posted a lot of thoughts and videos for people to comment on. As a third group I have found Larry Meregillano’s Trumpet Students Worldwide to be a good group. The different here is that Larry is making an effort to recruit some top players that are actively posting and commenting on videos posted by students of the trumpet, no matter what level they are at. Local established trumpeters: For myself I found it important to reach out to local trumpet players who’s playing I respected. This again has been surprisingly positive. When I first started to treat trumpet playing as a means to put bread on my family table, I thought that due to the decline in the music industry being a trumpet player was like being in a shark tank. There are a lot of sharks and only so much meat to go around. I assumed that people were territorial about their gigs and approaches to the industry. Still, I made it a point to reach out and let people know that I am here and what I’m doing. The response was surprising to me. The vast majority of local trumpet players I reached out to were amazingly supportive and were open minded to share their thoughts not only about playing trumpet, but also about being in the music industry. A great example of this is Trumpeters With Real Gigs own Troy Dowding. Troy has been nothing but an open minded individual who has a tremendous amount of knowledge and willingness to share. I have come to accept who I am as a player today and know that if I work hard in the correct mental and physical way, I will improve my playing. Thank you Trumpeters With Real Gigs for this fantastic interview with Adam. This week has been a busy week on the trumpet, filled with great practice sessions, rehearsals, workshops, and gigs. I am now looking at what I do on days where I don’t have an evening rehearsal or gig. For example, Paul’s first study is essentially a long tone study moving up and down the horn. Today being a day where I don’t have to play at night I decided to do this in place of the Dunlop #1 study. It’s early in my practice session, however, I went up to the F# before feeling “out of balance”, meaning if I go further I would likely put too much pressure against my lips in order to get the next note. What I’m trying to record and observe is measurable improvement on the horn. I am interested what happens after collecting this data for a longer period of time, perhaps over a year. My hypothesis is that the trend will be similar to the stock market over the past few decades. While there are ups and downs in a short time period, over a longer time period I should see an upwards trend. This will provide me with a clear indication on how I am progressing. 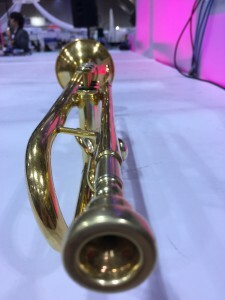 As I am now feeling stronger physically playing the horn, I am now able to focus on the musical aspect of the trumpet. As such, I’m going to incorporate elements of jazz studies into my routine. While I feel that I now have a good daily routine going, I will focus on a bigger picture and develop a weekly routine, where I might only do certain elements on a specific day during the week. You can learn something from anyone, anywhere! I’m bringing this up as I overheard a person say “Oh, I don’t think I’ll take a lesson from mr.X as all he says is blow harder”. Well, perhaps this might be true, however, there can be a take away from anyone that applies to you if you just open your mind and truly listen to what they have to say. I have recently come across James Morrison’s DVDs, and while some may say that their only take away is that James’ is saying “Blow Harder”, I thought I would share my point notes taken while watching the DVD. I’ve included my nots for Part 1 and 2 and would love to hear your opinion on the James Morrison DVD. Hear the pitch, the sound you want, how that sound fits into the room, etc. The actual technical aspect of playing the trumpet (measurement in newton meters, etc.) cannot be measured and the player usually doesn’t know what the values are, however, the masters know the “feeling” of a note, phrase, sound, etc. Leave the technical aspects to the sub-conscious. In the conscious mind, focus on the “feel”. I truly believe now more than ever that the process to becoming successful in this business has a lot to do with self discovery. Just like when you play your horn and find a routine that works for you, so must you self discover your way in the business. The truth is, as confirmed recently during a discussion with Steve McDade via Facebook, that one can no longer rely on the phone to ring. It seems that everyone from someone like me who just decided to do music full time to seasoned players such as Steve McDade need to expand on more than just the technical skill on the horn. Be that a niche such as Brownman, a successful trumpet player in the Toronto and New York area, who runs his own groups and is well known as being involved in the hip hop community amongst others, or someone that is versatile in various genres, such as Steve McDade. For me, the words of Al Kay rang true. As I took private lessons with him, he continuously referenced the idea that you cannot be a one-dimensional player. I am holding this true on and off the horn. In fact, over the past two weeks I have been asked to transcribe horns from recordings for a Latin band and just yesterday, for a three horn band playing Sammy Davis tunes. I have the tools to do this, thanks due to my great education at Humber, although I don’t do this a lot and feel it is a bit outside my comfort level. However, I cannot say no to an opportunity that will allow me to expand on my skills and make me a multi-dimensional carrier musician. I am also going to be in front of a band conduction, which is something I’ve enjoyed during my high school days. The point and my motto is, don’t say NO to opportunities just because they may seem to be outside of your comfort level.